Of course, my camera died during MJ’s party and we have no more batteries. 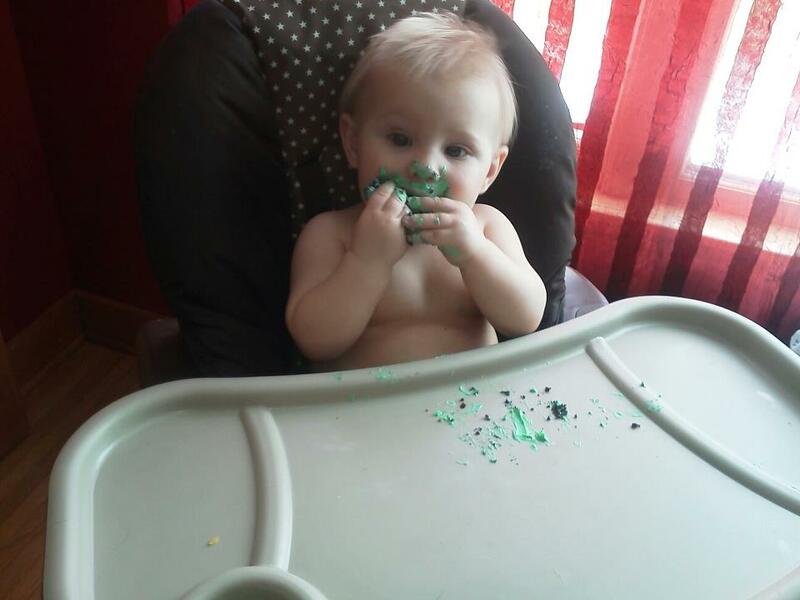 Can’t post more pictures until I remember to buy some, but here is one of him enjoying his gluten-free cake! Everything went off without a hitch. CJ’s mother’s BBQ and my homemade gluten-free mac and cheese went together even better than I thought they would. My pregnant sister put it all together – I do not mean just on one plate, she mixed it together – and it was amazing. CJ and I have decided that it will now be a main staple in our diet. Today, we had a gentleman come over to measure some of our windows and give us an estimate for their replacement. The house we bought in January was built in 1951 and still has all the original windows. The appointment was at 10am and it is now 1:30pm and he is still at my house. Is it a little rude that I am blogging while he his here, maybe. Honestly, I just really wanted to vent that he is still here and I had tons of stuff to do today since I have to cook Easter dinner tomorrow for approximately 15 people. Hopefully he will be headed out soon. He is getting borderline pushy. I think he was expecting us to sign up TODAY, and that is just not something I am willing to do. I am a nervous consumer – and that is putting it lightly. Honestly, I think we will end up getting the windows from them but I just need time to think before making such a large financial commitment.